Mary Miller seizes the mantle of southern literature with this wry tale of middle age and the unexpected turns a life can take. Like her predecessors Ann Beattie and Raymond Carver, Mary Miller brings an essential voice to her generation. 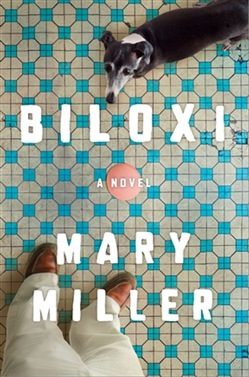 Building on her critically acclaimed novel, The Last Days of California, and her biting collection, Always Happy Hour, Miller slyly transports readers to her unapologetic corner of the South—this time, Biloxi, Mississippi, home to sixty-three-year-old Louis McDonald Jr. His wife of thirty-seven years left him, his father has passed—and he has impulsively retired from his job in anticipation of an inheritance check that may not come. In the meantime, he watches reality television, sips beer, and avoids his ex-wife and daughter. One day, he stops at a house advertising free dogs and meets overweight mixed-breed Layla. Unexpectedly, Louis takes her, and, newly invigorated, begins investigating local dog parks and buying extra bologna. Mining the absurdities of life with her signature “droll minimalist’s-eye view of America” (Joyce Carol Oates), Mary Miller’s Biloxi affirms her place in contemporary literature. Acquista Biloxi: A Novel in Epub: dopo aver letto l’ebook Biloxi: A Novel di Mary Miller ti invitiamo a lasciarci una Recensione qui sotto: sarà utile agli utenti che non abbiano ancora letto questo libro e che vogliano avere delle opinioni altrui. L’opinione su di un libro è molto soggettiva e per questo leggere eventuali recensioni negative non ci dovrà frenare dall’acquisto, anzi dovrà spingerci ad acquistare il libro in fretta per poter dire la nostra ed eventualmente smentire quanto commentato da altri, contribuendo ad arricchire più possibile i commenti e dare sempre più spunti di confronto al pubblico online.